Gray whales have the longest known migration of any mammal. They travel 10,000-12,000 miles round trip every year between their winter calving lagoons in the warm waters of Mexico and their summer feeding grounds in the cold Arctic seas. 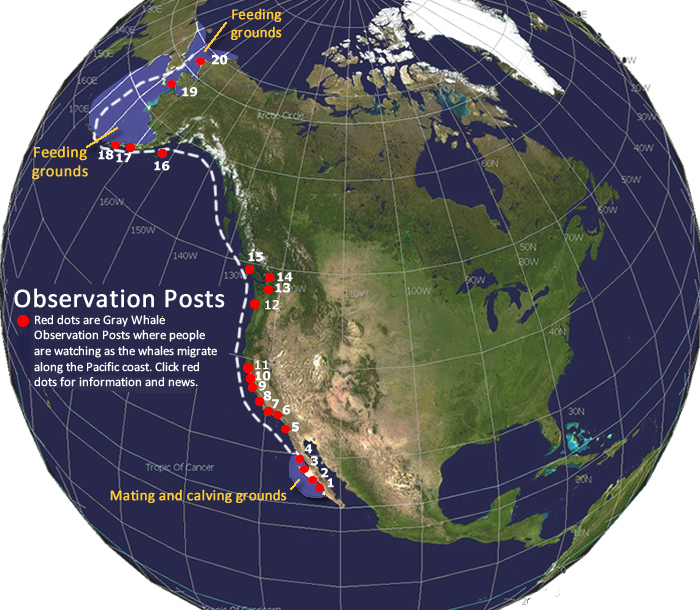 Thanks to its nearshore migration route, we can observe the gray along its journey. Journey North reports the migration and timing from these Observation Posts and more. Click on this map to follow the whale trail!